Henry Tudor, son of Henry VII of England and Elizabeth York, was born at the royal residence, Greenwich Palace, on June 28, 1491. 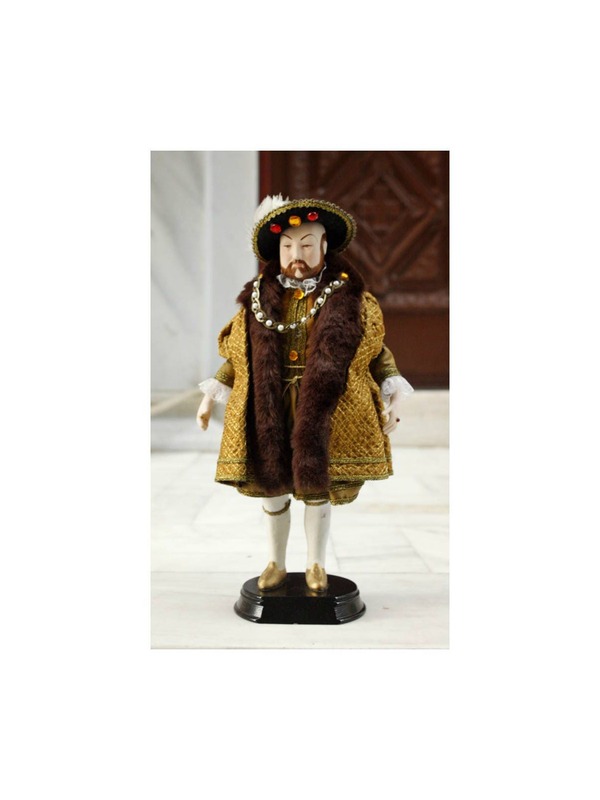 Following the death of his father, he became Henry VIII, king of England. 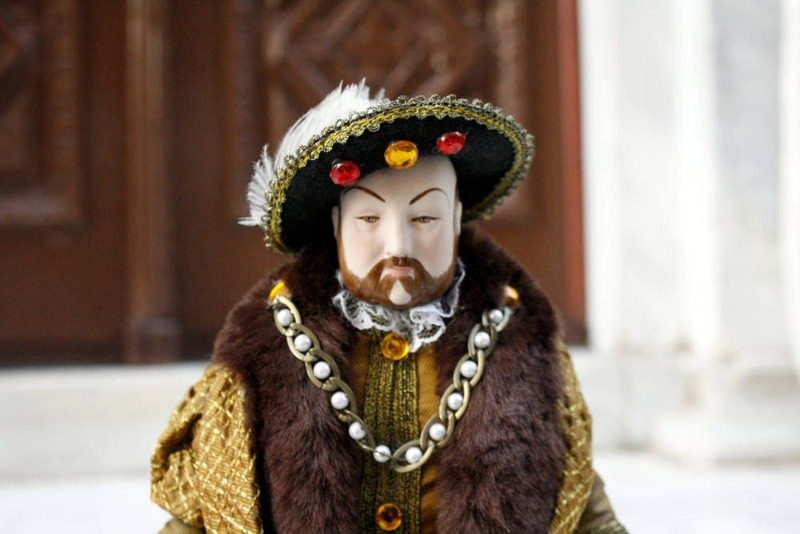 He married six times, beheaded two of his wives and was the main instigator of the English Reformation. 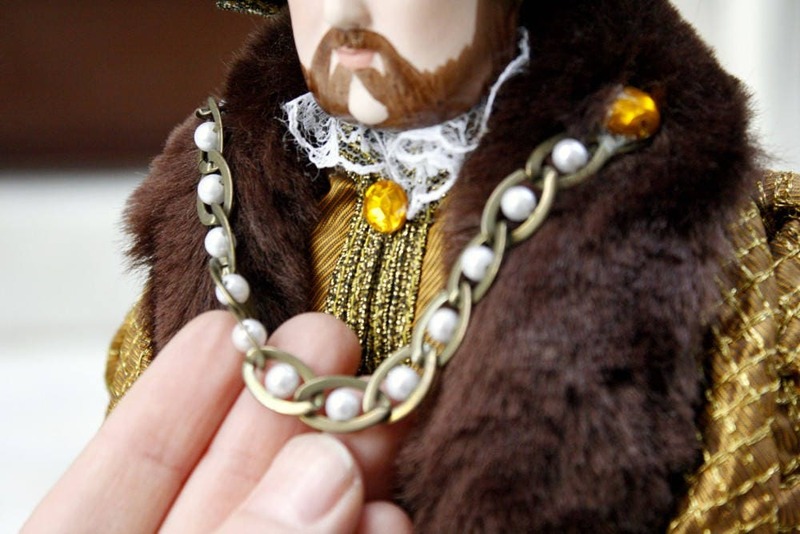 His only surviving son, Edward VI, succeeded him after his death on January 28, 1547. 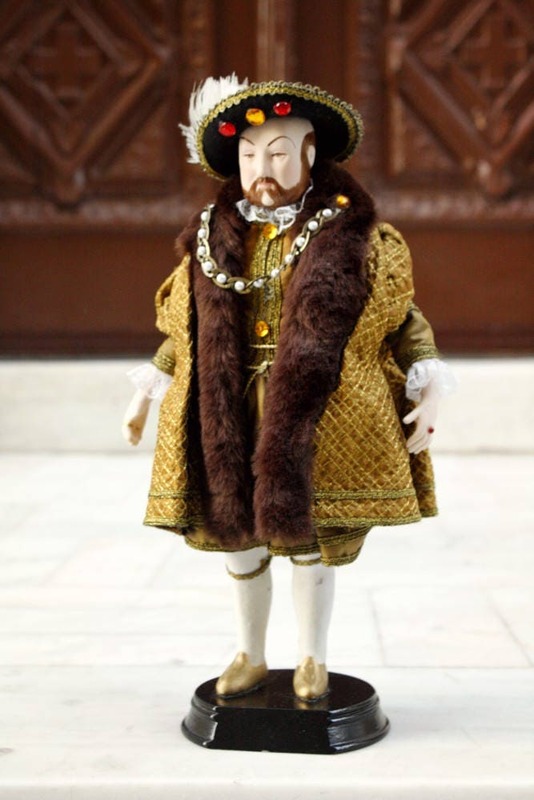 As a young man and monarch, second in the Tudor Dynasty, Henry VIII exuded a charismatic athleticism and diverse appetite for art, music and culture. He was witty and highly educated, taught by private tutors for his entire upbringing. He loved music and wrote some as well. A lover of gambling and jousting, he hosted countless tournaments and banquets. 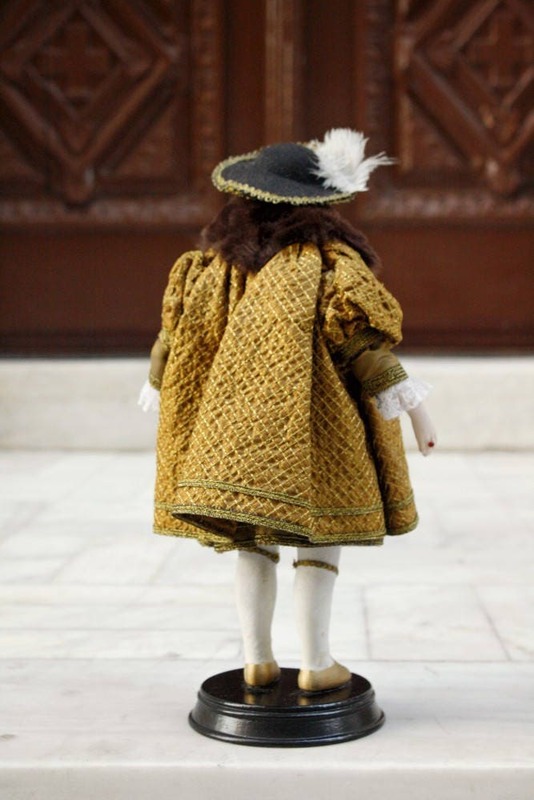 His father always envisioned Arthur as king and Henry as a high-ranking church official—the appropriate role at that time for his secondary birth order. As fate would have it, Henry instead inherited an entire peaceful nation after his father ended the Wars of the Roses. 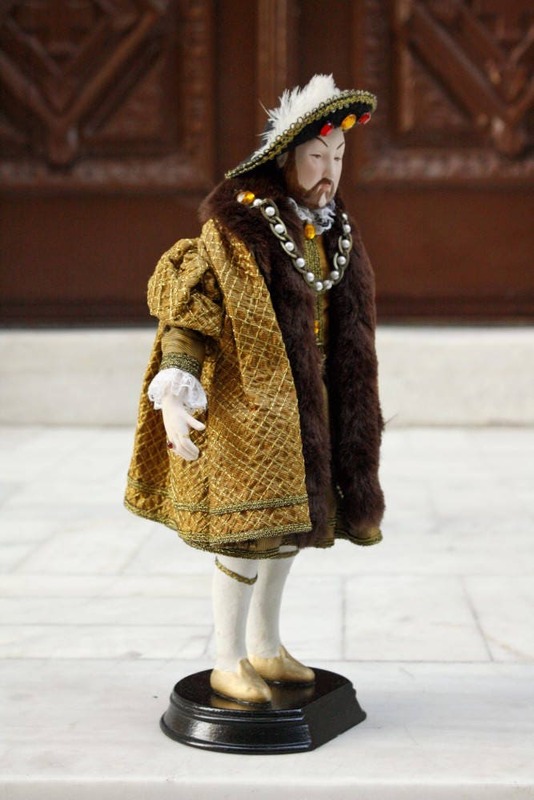 On January 28, 1547, at the age of 55, King Henry VIII of England died in London. 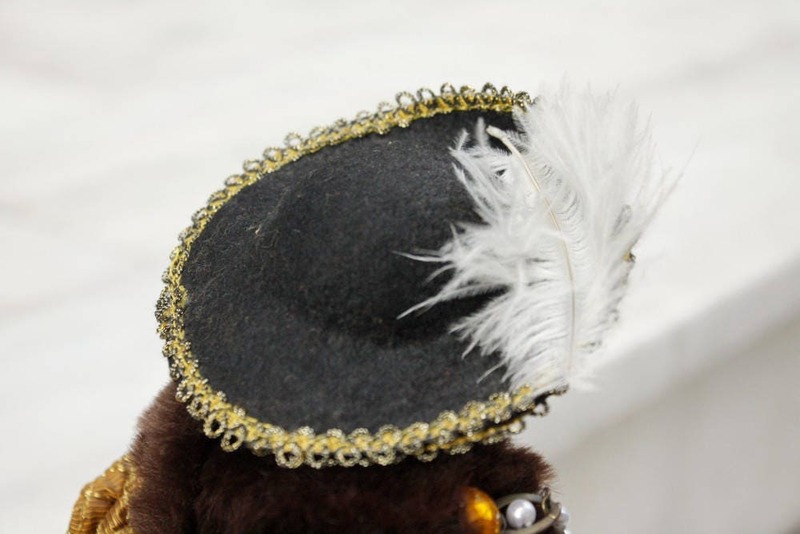 He was interred in St. George's Chapel in Windsor Castle alongside his deceased third wife, Jane Seymour. 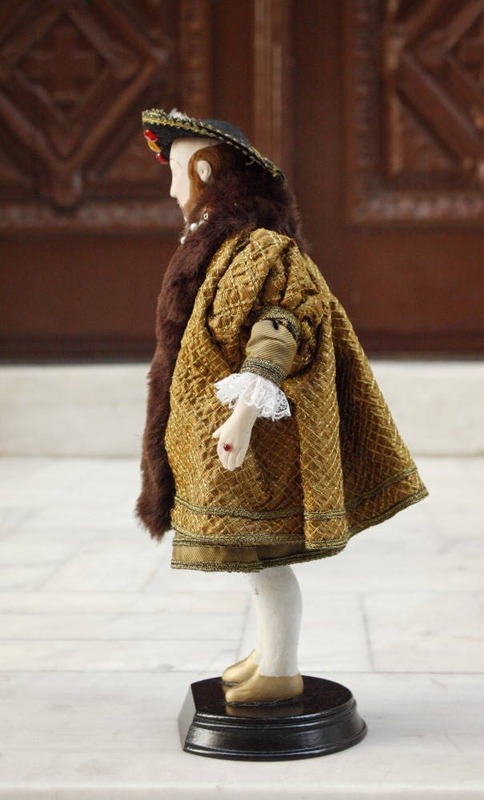 Henry's only surviving son, Edward, inherited the throne, becoming Edward VI. Princesses Elizabeth and Mary waited in succession. 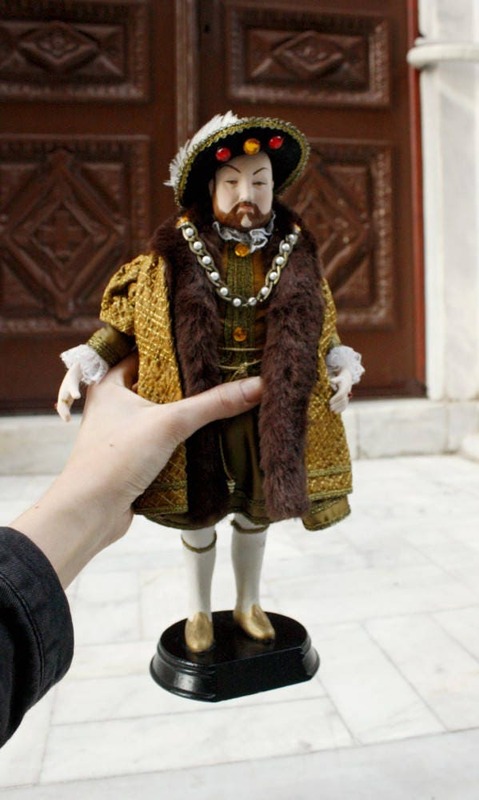 Handmade doll of Henry VIII of England with porcelain body detailed painted, dressed with handmade costume. Stands on a wooden base.